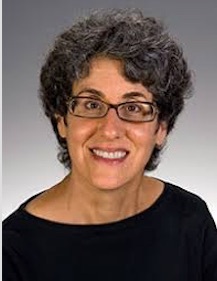 “Lifespan: Stories of Illness, Accident and Recovery” is a new podcast hosted by Jackie Wolf, a professor of the History of Medicine in the Department of Social Medicine in the Heritage College of Osteopathic Medicine at Ohio University. It is produced by WOUB Public Media. On Lifespan, you’ll learn about the American healthcare system through deeply personal and compelling stories. Each show’s stories are bound by a common theme – personal journeys through a particular type of medical experience. Even when multiple people are describing their encounter with the same disease, condition or treatment, each account is unique. “That’s why Lifespan is more than just a series of fascinating stories. Each story helps teach us how to approach illness, accident, diagnosis, and treatment, how to effectively communicate our thoughts and values and needs to health care providers, and even how we can improve our current health care system. On Lifespan we learn from the difficult experiences of others,” Wolf notes. The first episode, “An Accident,” follows Steve Miner after a horrendous fall in Northern California when he was 18 years old. You will learn about his rescue, his devastating injuries and his long, slow recovery. Miner also describes what he learned from his protracted ordeal. A new edition of Lifespan will be published on the second Monday of every month. 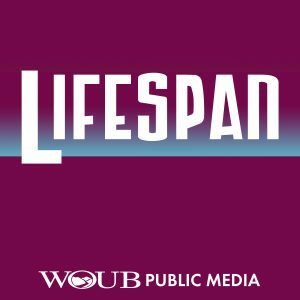 You can subscribe to Lifespan through Apple Podcasts, Stitcher, GooglePlay, or at the NPR Podcast Directory. You also may subscribe through the mobile apps of the sites listed above. You also can listen to Lifespan on the WOUB listen page. Jackie Wolf and Adam Rich of WOUB Public Media are the co-executive producers of this new series. Please listen, review and rate the new podcast at your favorite podcast site.